Numerous potential buyers expressed interest in the core-plus opportunity offered in acquiring 88 value-add units on 20,600 square feet of high-rise-zoned dirt, which is rare in Seattle. Both apartment buildings are located two blocks from the University of Washington campus. SEATTLE—For the first time in 50 years, two apartment buildings have changed ownership hands in the high-demand University District very near the University of Washington campus. 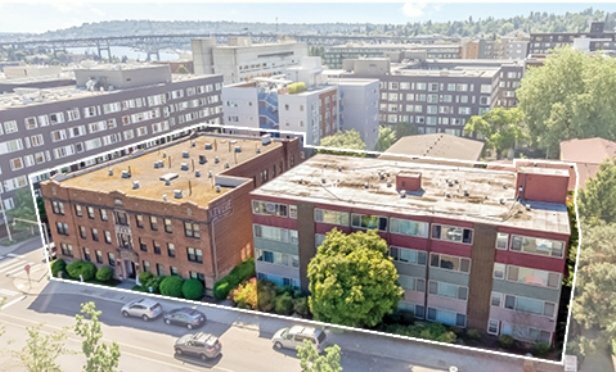 The Tyee Apartments and Levere Apartments, with a total of 88 aggregate units, were sold by Kennedy Tyee LLC & Levere LLC to Seattle University District Limited Partnership for $20 million. Lisa Brown is an editor for the south and west regions of GlobeSt.com. She has 25-plus years of real estate experience, with a regional PR role at Grubb & Ellis and a national communications position at MMI. Brown also spent 10 years as executive director at NAIOP San Francisco Bay Area chapter, where she led the organization to achieving its first national award honors and recognition on Capitol Hill. She has written extensively on commercial real estate topics and edited numerous pieces on the subject. The IRS released the latest guidance on opportunity zone regulations last week, and now development activity will likely takeoff. Marilyn Hansen has joined TRI Commercial/CORFAC International in Walnut Creek as senior director with more than 30 years’ experience in investment and leasing advisory. Greenland Forest City Partners and the Brodsky Organization start construction of a massive, 859-unit, mixed-income project at 18 Sixth Ave. in downtown Brooklyn.